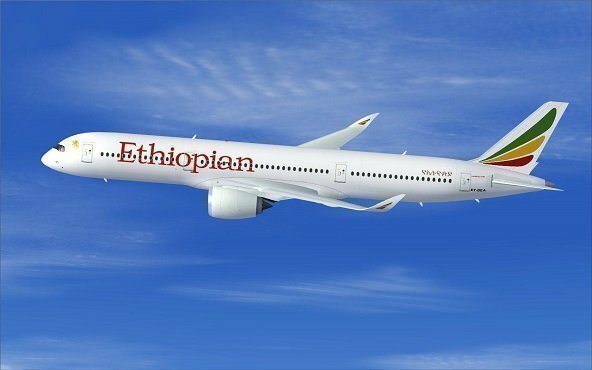 China bound Ethiopian Airlines plane was ordered to return to Addis Ababa as Ethiopian authorities pursue an alleged suspect who tried to take foreign currency out of the country illegally. A report published by Fana Broadcasting Corporation, which cited Ministry of Revenue as a source, says Ethiopian Airlines employee used his privilege to bypass check points at the airport to help smuggle a women, unnamed in the report, foreign currencies out of Ethiopia. However, he was spotted by other Ethiopian Airlines employees, added Fana’s report, as he was trying to pass the luggage to a women traveling to China which triggered interest on the part of the employees to search it. As it turns out, £6,170, €33,150 and 1,264,975 Ethiopian Birr was stashed. It happened yesterday around midnight Ethiopian time. Ethiopian Airlines employee who was involved in smuggle like practice was arrested right away but the women who was meant to receive the luggage boarded the plane to fly to her destination, China (the report did not cite the flight number). As authorities realize the story, apparently after investigating arrested Ethiopian Airlines employee (he is not named as well for some reason), they ordered the China bound plane which was three hours into its destination to return back to Addis Ababa. The woman is reportedly in custody. Communication Director of Ministry of Revenue, Addisu Yirgaw, called upon the public to expose similar crimes and help maintain the rule of law in the country. Authorities in different parts of Ethiopia have been recently claiming seizure of illegal foreign currencies as people linked to corrupt officials strive to smuggle it out of the country. 4 Responses to "China bound Ethiopian Airlines plane ordered to return after three hours flight"
The fuel wasted on the return flight, the cost involved with missed flights and hotels is probably three times more than the amount captured. Ayiiiiii. Self goal. Ordering back an entire plane to Addis after 3 hours of flight caring 100s of passengers over a minor and not life threatening matter is simply a poor decision. I understand the principle and law enforcement obligation but the money has already been recovered and both fugitives could easily have been arrested at China Airport. Why then inconvenience the rest of passengers? Unless there is an international protocol or China government requires it, such inconvenience of others is wrong and will definitely cost the Airline substantial financial loss. Great! It probably costs less than $20,000 of fuel to return the aircraft back and confiscate almost 100K and bring back a criminals to justice. However, I would be so mad for time wasted, if I am a passenger on the flight. Excellent job and well-done Ethiopia and Africa through your innocent’s citizens we will be able to prove ourselves able and capable to run the nation. For of you whose hearts are for their people keep going a good job that will guarantee our cultures as Africans here and there, once again well-done job Guys in Ethiopia.